Quattro is located at 1014 Lincoln Road. For reservations, please call (305) 531-4833 or visit www.quattromiami.com. The Dutch, South Beach’s popular Americana-inspired dining destination, will be offering a complimentary glass of champagne to all mothers on Mother’s Day. The Dutch is located inside W South Beach Hotel & Residences, 2201 Collins Avenue, in Miami Beach. Reservations are required and can be made by calling (305) 938-3111 or booking online at http://www.opentable.com/the-dutch-miami. BLT Prime Miami, the acclaimed New American steakhouse in Doral, is offering a special Mother’s Day menu on Sunday, May 8, 2016, with a range of delicious options. The restaurant will feature a three-course Sunday prix fixe dinner menu priced at $65 per person(excluding tax and gratuity). Diners can also order à la carte. Appetizers include a choice of Tempura Soft Shell Crab topped with smoked tomato and preserved lemon salsa ($14) or Prince Edward Island Mussels with speck ham and garlic confit cream ($15). The main course is a selection of either Wagyu NY Strip topped with roasted garlic and watercress ($42) or Grilled Prawns with tempura oyster and elderflower saffron espuma ($36). Sides include Fiddlehead Fern with olive oil and garlic ($12) or Crushed New Potatoeswith saffron butter and fine herbs ($12). For dessert, a choice of Chocolate Crème Brulee topped with raspberries and mint ($10) orFruit Tart with seasonal fruit, napoleon cream, and vanilla anglaise ($10). BLT Prime is located at The Trump National Doral Miami at4400 NW 87th Avenue. Valet parking is available. 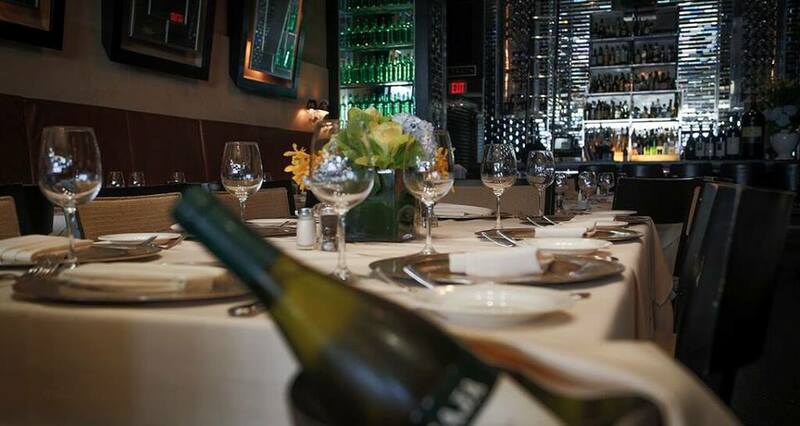 For reservations, please call (305) 591-6606 or visit www.e2hospitality.com/blt-prime-miami. Kona Grill, the upscale casual American grill and sushi bar located in Dolphin Mall’s new restaurant plaza, will be celebrating Mother’s Day with specials from Thursday, May 5 to Sunday, May 8. Guests can enjoy a special Steak Oscar Filet for $29, while mothers will be treated to Gruet Brut by the glass for only $6. Kona Grill is located at 11401 NW 12th Street, #R104 in Dolphin Mall. For reservations, please call (305) 515-2633 or visit www.opentable.com. Apeiro Kitchen & Bar, the successful Mediterranean restaurant located in both Midtown Miami and Delray, invites guests to celebrate Mother’s Day with an array of delightful prix fixe menus. Can’t make it to Sunday dinner? We’ve got you covered. On Sunday, May 8, from 11AM – 4PM, Apeiro is offering a Mother’s Day Brunch replete with gourmet chocolate-covered strawberries. The restaurant’sdinner menus will be available Saturday, May 7, during regular business hours, and Sunday, May 8, from 4PM – 10PM. Miami specials include Stracciatella with pickled cantaloupe, watermelon, and crispy prosciutto ($14); Bouillabaisse of mussels, clams, shrimp, octopus, tomato broth atop cuttlefish capellini ($28); a 12oz Ribeye with roasted fennel, fingerling potatoes, and saba reduction ($38), and Florida Peach Panna Cotta topped with coconut tapioca, fresh berries, and pistachio biscotti ($8). Apeiro Delray dinner specials feature such dishes as Mozzarella di Bufala with heirloom tomatoes, basil, and cabernet ($14); Mezze Rigatoni with shrimp, sea scallops, oven roasted tomatoes, spinach, and pecorino ($24); Swordfish with English pea puree, snap peas, and red pepper tapenade ($28), and their classic 12oz Ribeye with roasted fennel, fingerling potatoes, and saba reduction ($38). Apeiro Kitchen & Bar is located at 3252 NE 1st Avenue in The Shops at Midtown Miami and 14917 Lyons Road in Delray Beach. Dinner is served nightly starting at 5PM. Lunch is served Monday through Friday, 11:30AM – 4PM. Brunch is available Saturday and Sunday, 11:30AM – 4PM. Happy Hour available weeknights starting at 4PM. Telephone: Miami (786) 800-5389; Delray (561) 501-4443;www.apeirorestaurants.com. Wild Sea Oyster Bar & Grille, located in the illustrious Riverside Hotel on Las Olas Boulevard, is serving up an extended Mother’s DayBrunch on Sunday, May 8, from 11 AM – 4 PM. Delight in the restaurant’s airy seaside setting while enjoying Wild Sea’s imaginative and exceptionally fresh cuisine priced a la carte, such as the eponymous Wild Sea Lobster Omelet with Maine Lobster, caramelized onions, gruyere, heirloom tomatoes, and toasted red potatoes ($22); or the equally appetizing Local Fish of the Day Sandwich, a neighborhood favorite plated with almond coleslaw, lemon herb aioli, avocado, heirloom tomato, and house fries ($16). If your taste buds are craving something sweet, then look no further than the Caramelized Banana Brioche French Toast created with Kahlua and cinnamon French toast, caramelized bananas, and brown butter whipped cream ($15). Wild Sea Oyster Bar & Grille is located at 620 East Las Olas Boulevard in Fort Lauderdale, inside the Riverside Hotel. Lunch is served daily 11AM – 3PM; and the full dinner menu is served from 5 PM – 10 PM, Sunday – Thursday and 5PM – 11PM on Friday and Saturday. For reservations, please call (954) 467-2555 or visitwww.wildsealasolas.com. Indigo, a neighborhood staple of Las Olas Boulevard, is embracing the upcoming holiday with a dazzling array of classic Mother’s Day pre fixe specials. Brunch staples include Malted Belgian Waffles with whipped honey butter and powdered sugar ($11) and Classic Eggs Benedict served with poached eggs, toasted English muffin, Canadian bacon, hollandaise, and asparagus ($14). Appetizers run the gamut from Rockin Poppin’ Shrimp comprised of Florida Rock Shrimp dusted with coconut and sriracha remoulade ($14) to Maine Lobster Salad topped with baby spinach, red peppers, avocado, tomato, hearts of palm, and honey citrus vinaigrette ($21). Main platesinclude Indigo Salmon with sautéed spinach and artichoke cream sauce ($26) and Barbeque Ribs slow cooked in beer with housemade Sweet Sassy Molassey BBQ sauce, grilled corn on the cob, and coleslaw ($20). The fun doesn’t stop there. With specials like Blueberry Ricotta Pancakes layered with housemade lemon curd ($13) and Veg Benedict with toasted English muffin, avocado, sautéed spinach, tomato, poached eggs, hollandaise and a side of mushroom hash browns ($14), there’s no end of options. Have a sweet tooth? Then take a look at some of Indigo’s desserts, such as the delectably named Rose Macaron with spiced vanilla rose buttercream, candied rose petals, and fresh raspberries ($10) or the Tea Time Trio with housemade assorted croissants, 7 layer honey butter biscuits, and crème brulee Danish ($10). Nothing goes better with fine food than a cocktail, so remember to treat yourself to Mother’s Little Helper, a strawberry-citrus Riesling cocktail ($8), before you leave. Full menu online. Indigo is located at 620 East Las Olas Boulevard in Fort Lauderdale, inside the Riverside Hotel. For reservations, please call (954) 467-0671 or visit http://www.indigolasolas.com/.